We are our stories. We tell them to stay alive or keep alive those who only live now in the telling. 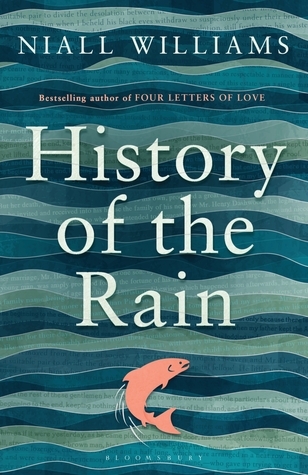 In Faha, County Clare, everyone is a long story... Bedbound in her attic room beneath the falling rain, in the margin between this world and the next, Plain Ruth Swain is in search of her father. To find him, enfolded in the mystery of ancestors, Ruthie must first trace the We are our stories. We tell them to stay alive or keep alive those who only live now in the telling. In Faha, County Clare, everyone is a long story... Bedbound in her attic room beneath the falling rain, in the margin between this world and the next, Plain Ruth Swain is in search of her father. To find him, enfolded in the mystery of ancestors, Ruthie must first trace the jutting jaw lines, narrow faces and gleamy skin of the Swains from the restless Reverend Swain, her great-grandfather, to grandfather Abraham, to her father, Virgil - via pole-vaulting, leaping salmon, poetry and the three thousand, nine hundred and fifty eight books piled high beneath the two skylights in her room, beneath the rain. The stories -- of her golden twin brother Aeney, their closeness even as he slips away; of their dogged pursuit of the Swains' Impossible Standard and forever falling just short; of the wild, rain-sodden history of fourteen acres of the worst farming land in Ireland -- pour forth in Ruthie's still, small, strong, hopeful voice.